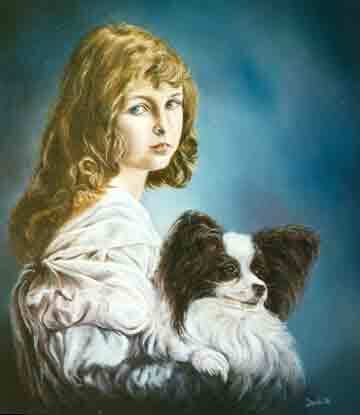 For many years I have be doing oil paintings of dogs these have been mostly for family and friends. By doing these I have had various commissions from people they know as well. Having worked with aircraft in my day to day life it was only natural that I should start doing oil paintings of aircraft, and through the years these have included the old Bristol box kite, the classic Spitfire right up to the modern A380. Within the past year I have also been approached to create some abstract paintings for people, which has been challenging but satisfying once I reach the final result. Please take your time to browse through my collection of oil paintings, pastels and drawings. I am always willing to take on new challenges, so all inquiries welcome. As well as any comments.